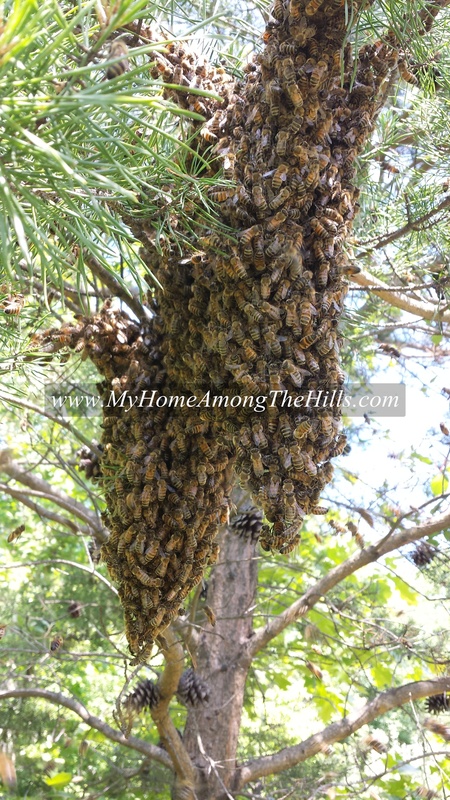 My parents started off with one hive. They ended up with nearly 200 of them a decade later. They went from a hand crank two frame extractor to a 50 frame electric one. They went from a small plastic tub to a huge uncapping tank. They went from some glass bottles to 50 gallon drums. Never once did things reduce in size when it came to bees. Don’t say I didn’t warn you! Ed, that’s my fear! I have already grown to many more hives than I even planned on having when I started! I don’t need too many more hives! Granny Sue – indeed it has been wild! Too wild! I think you need your own tv show. There was The Croc Hunter, The Turtle Guy, you can be Bee Man!!!! They could just have a camera crew following you along on ALL your many adventures, including the bees!!!!! What do you think? Gracious! I can’t imagine how lucky you must feel that they didn’t fly to some far away place where you couldn’t retrieve them. Question: When they swarm, does the original queen and hive die? OR is a new queen made and she takes off with many of the workers following her?